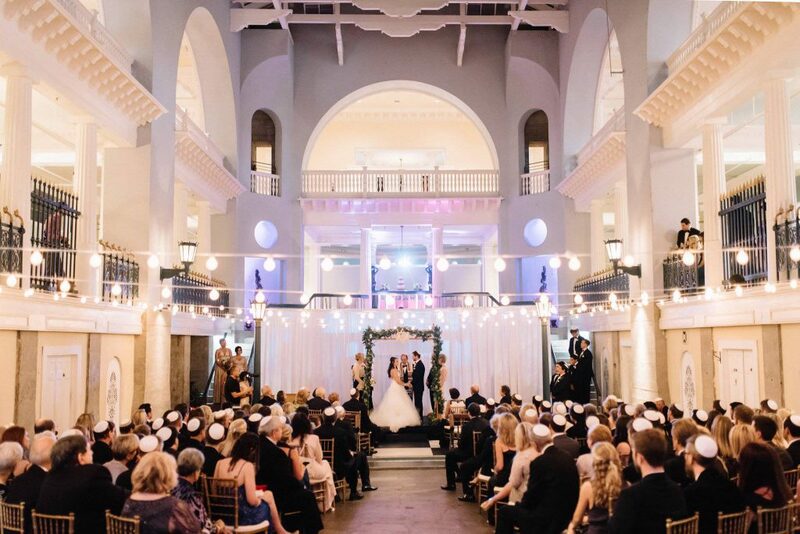 With its majestic three-story ceiling and twin grand staircases, the Historic Pool and Mezzanine creates an immersive experience for you and your guests. 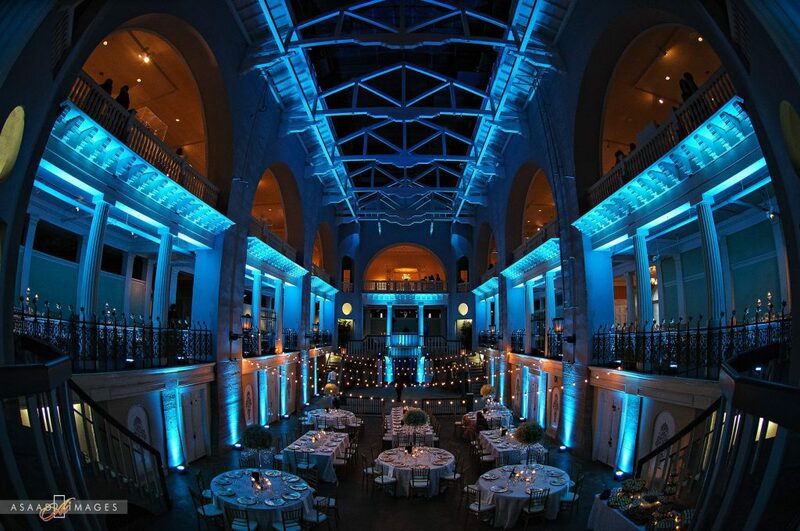 Events can be enjoyed on multiple levels and from different perspectives throughout the evening. 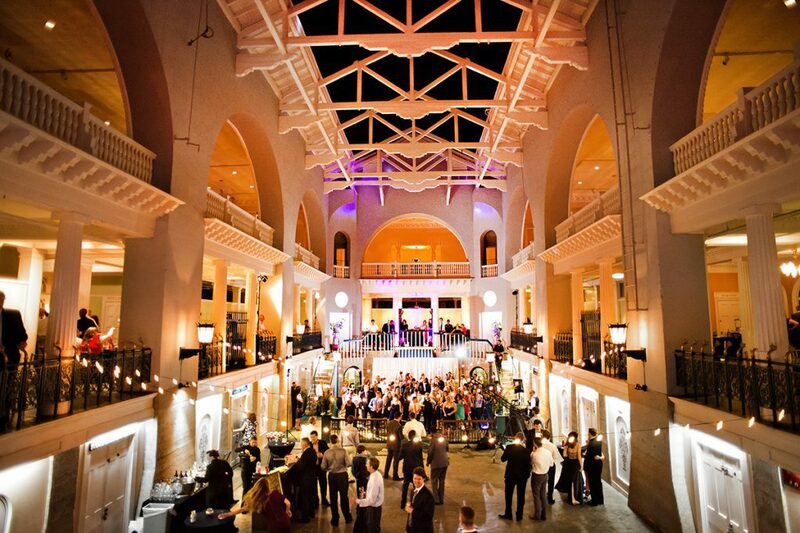 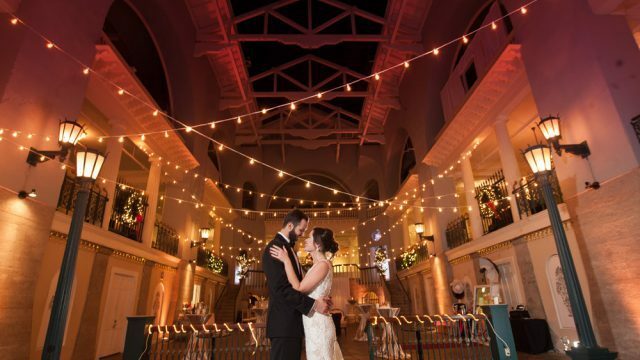 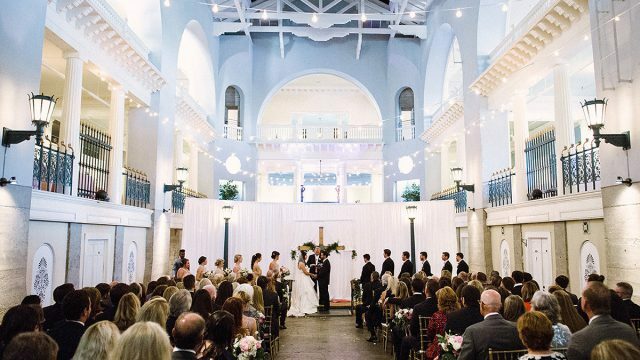 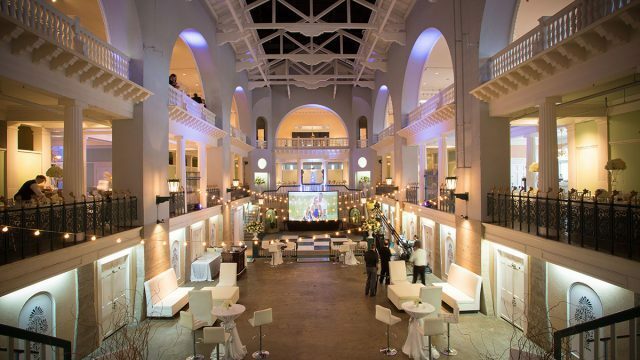 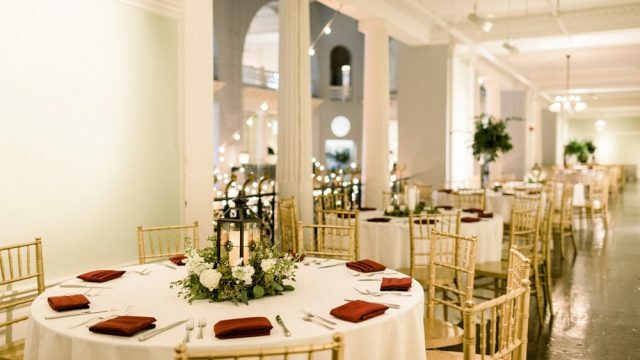 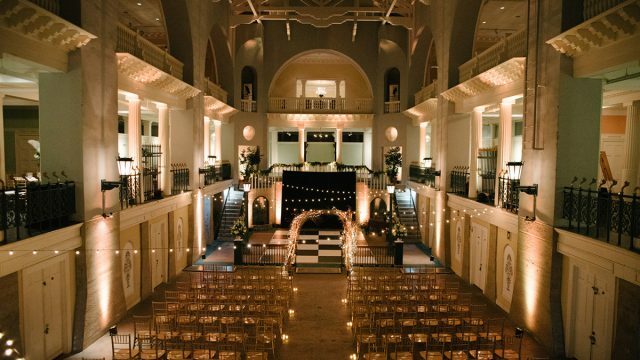 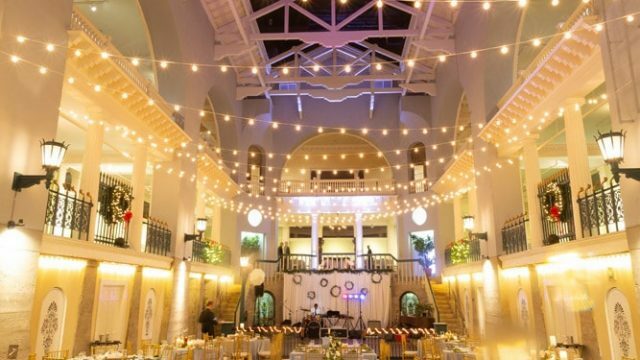 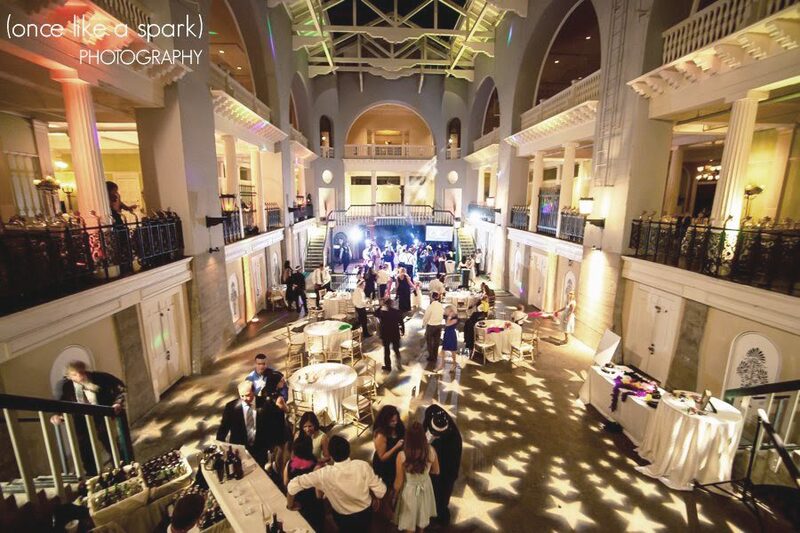 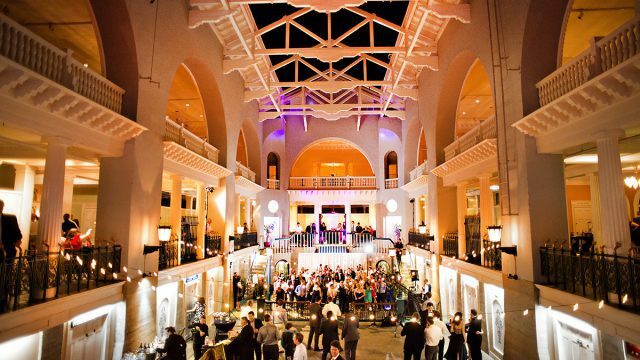 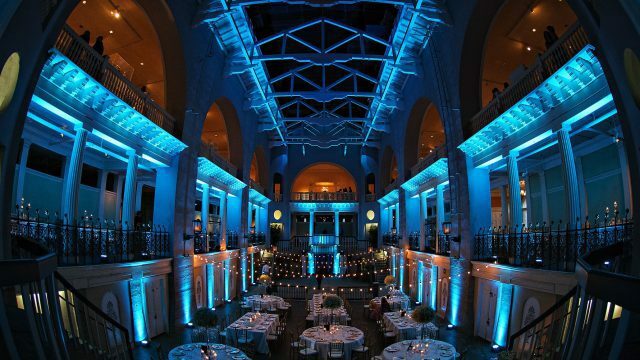 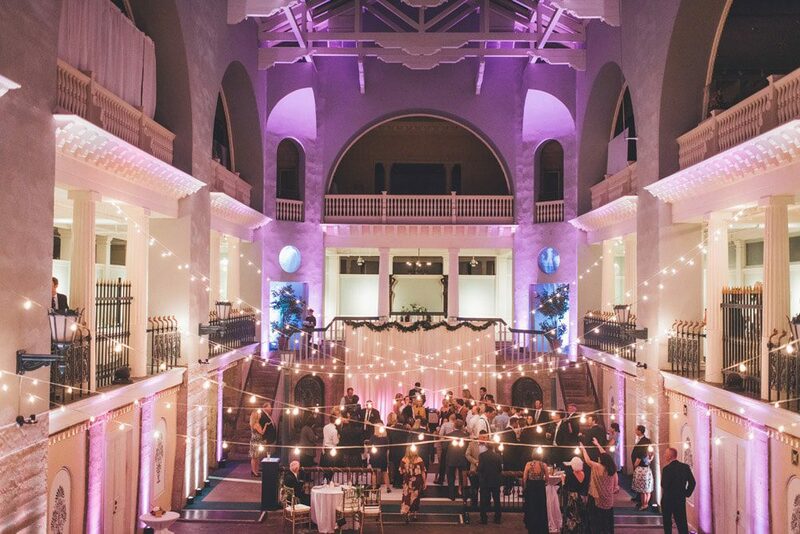 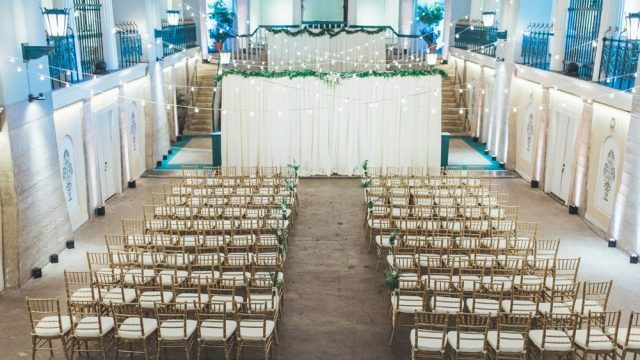 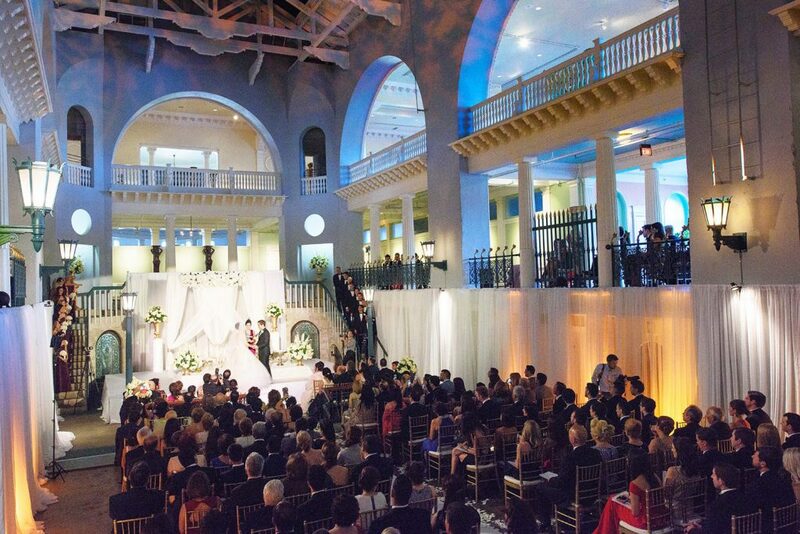 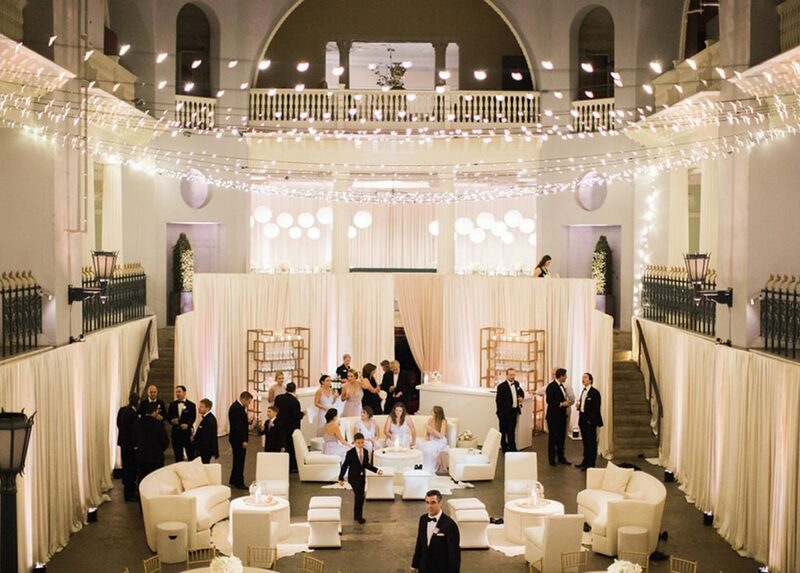 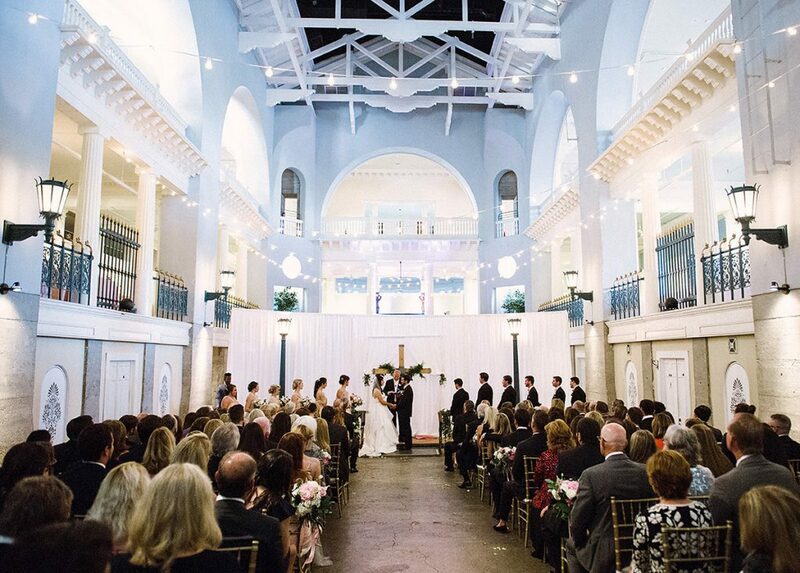 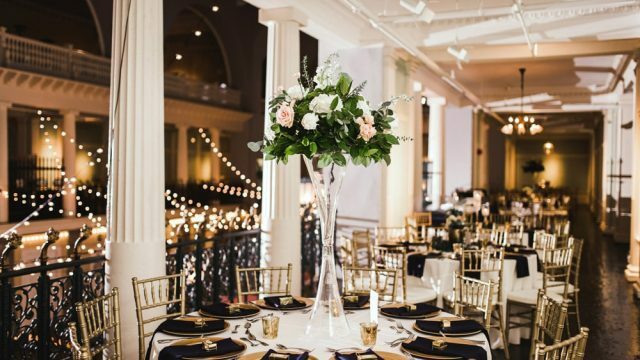 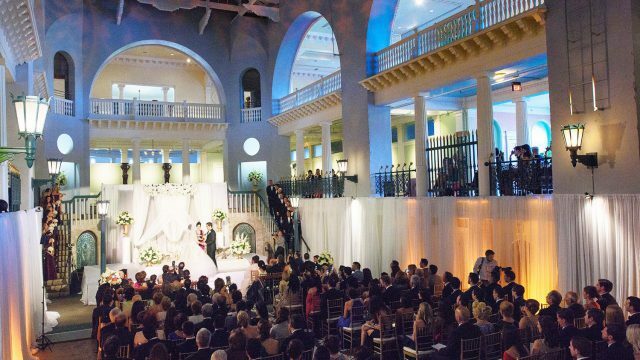 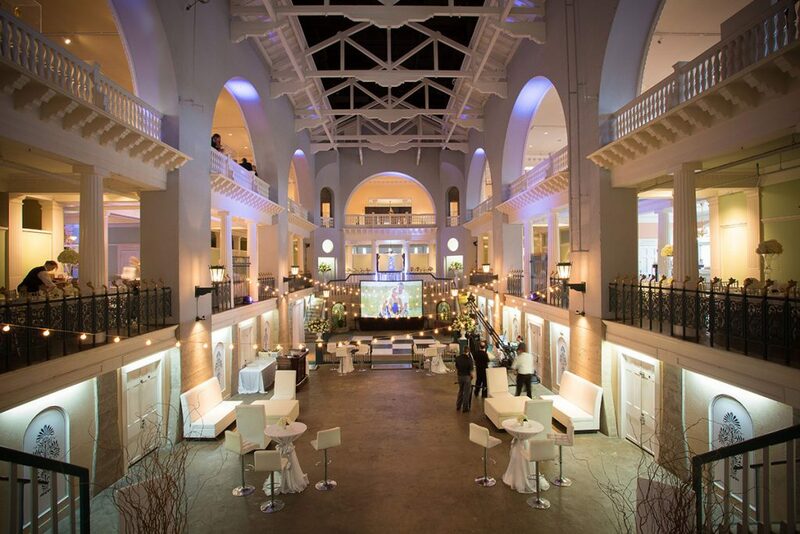 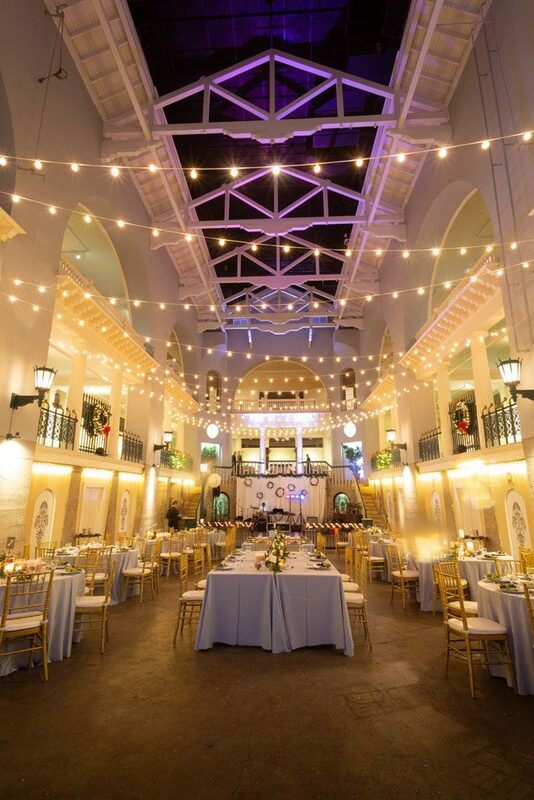 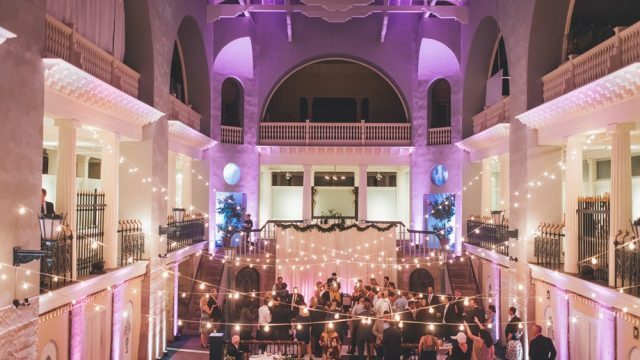 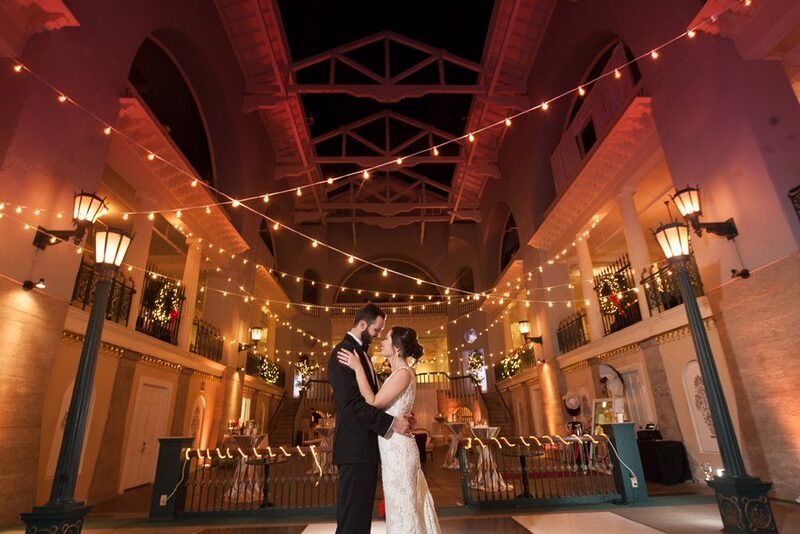 Host a romantic wedding ceremony on the lower level, inside what was once the world's largest indoor swimming pool. 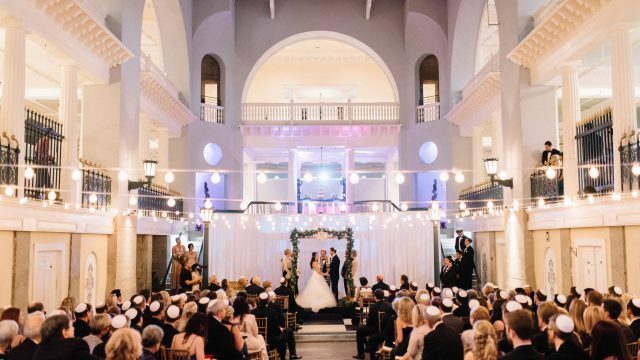 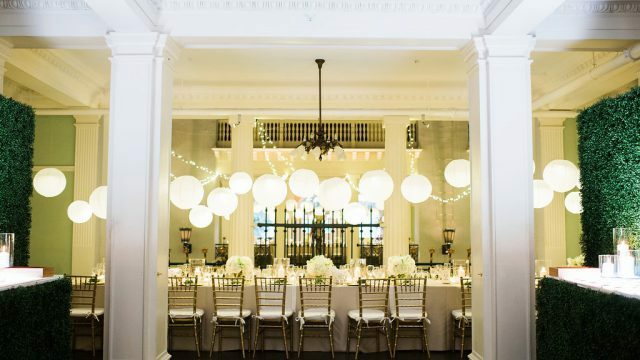 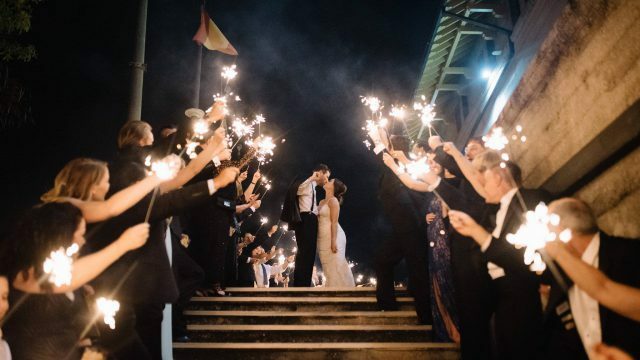 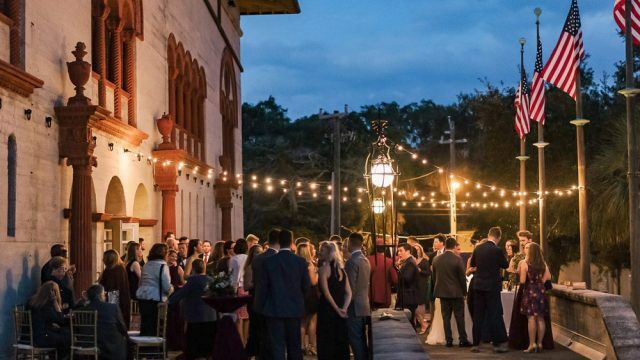 After the ceremony, guests can gather for cocktails on the second-floor Mezzanine or venture onto the spacious Outdoor Terrace to enjoy the radiant Florida sunshine. 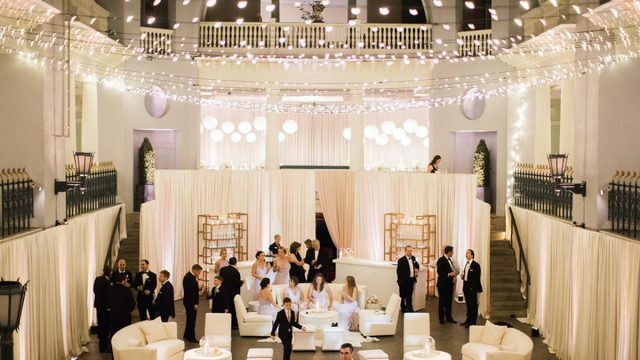 During cocktail hour, the Pool and Mezzanine are transformed into the perfect reception to suit your vision and style--be it vintage, modern, casual, or extravagant. 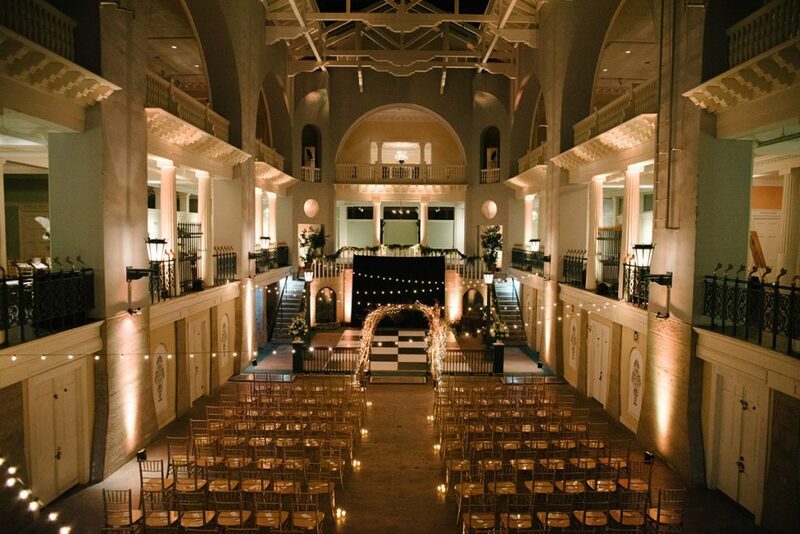 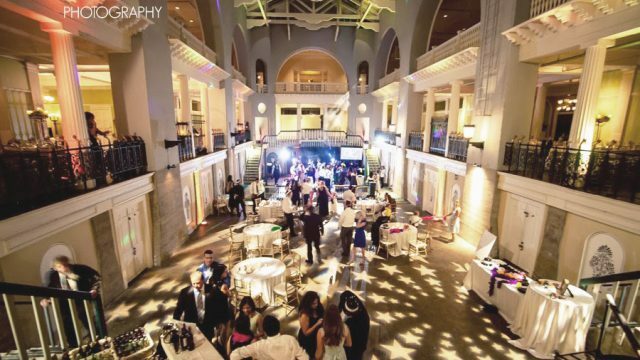 With incredible versatility, the only limit to this stunning venue is your imagination. 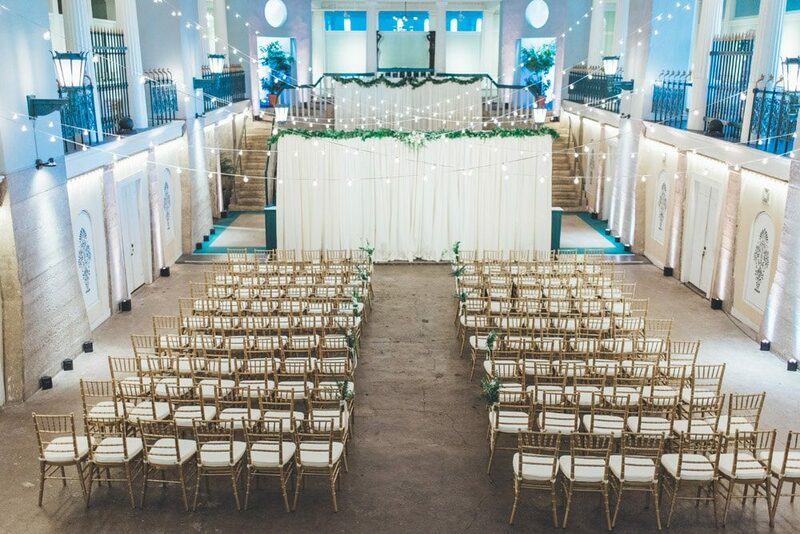 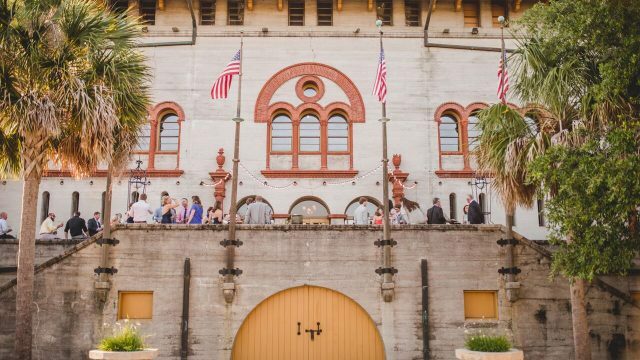 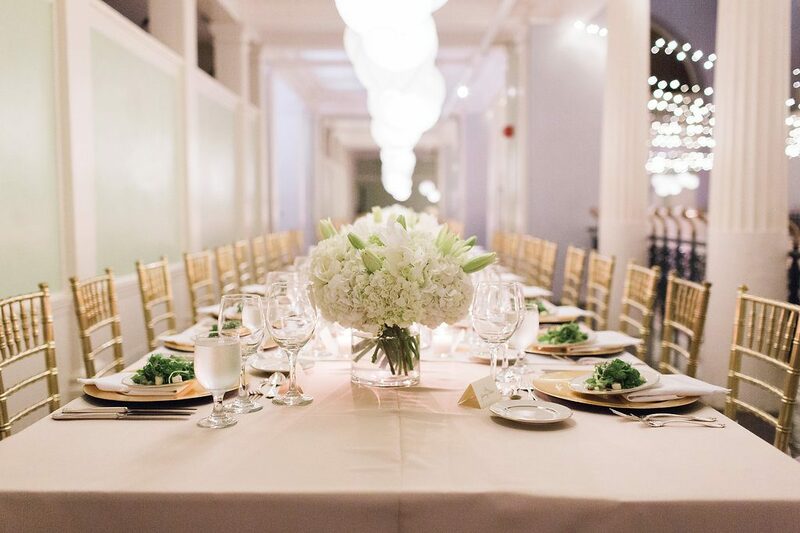 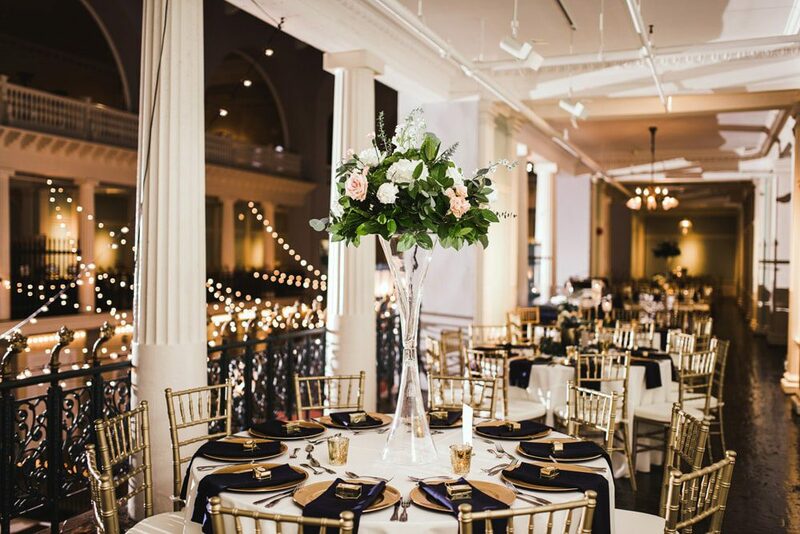 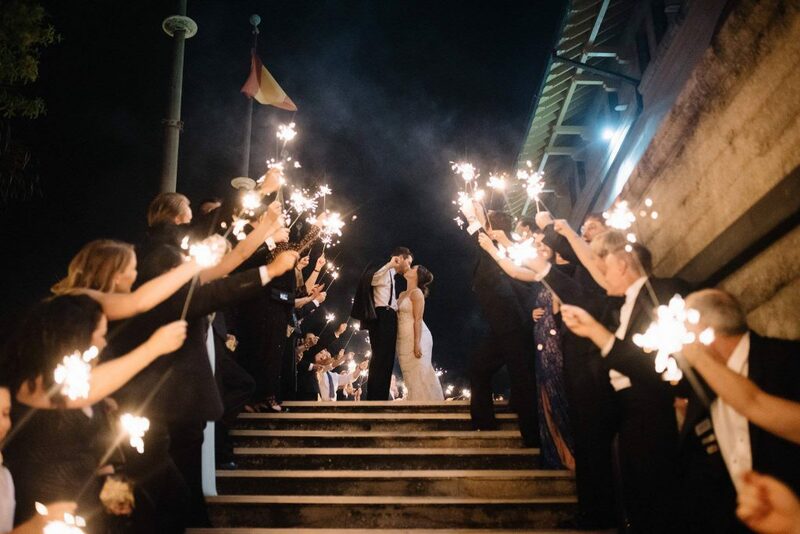 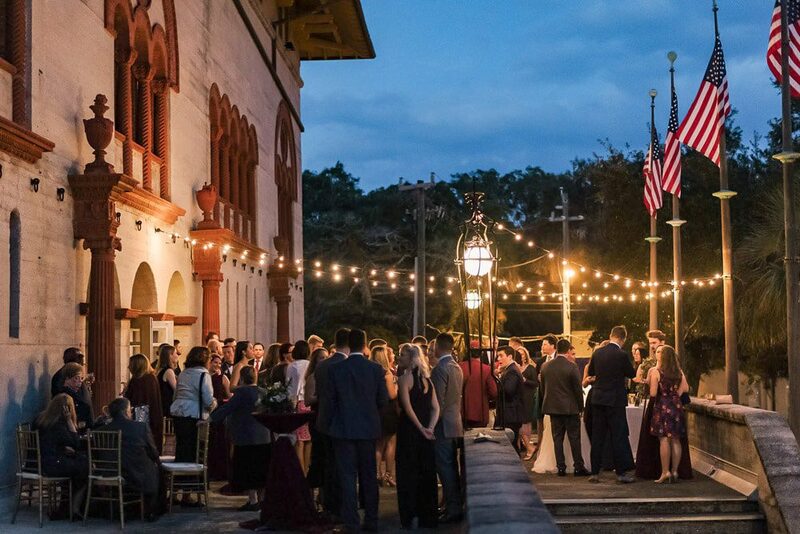 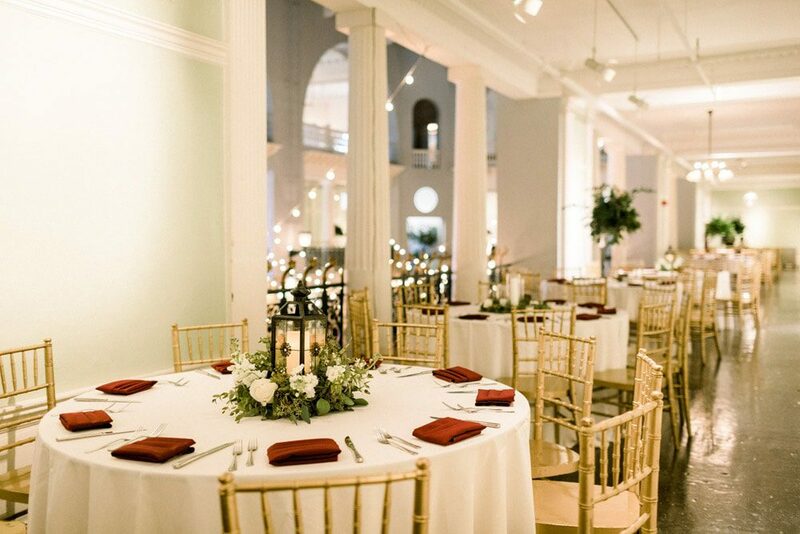 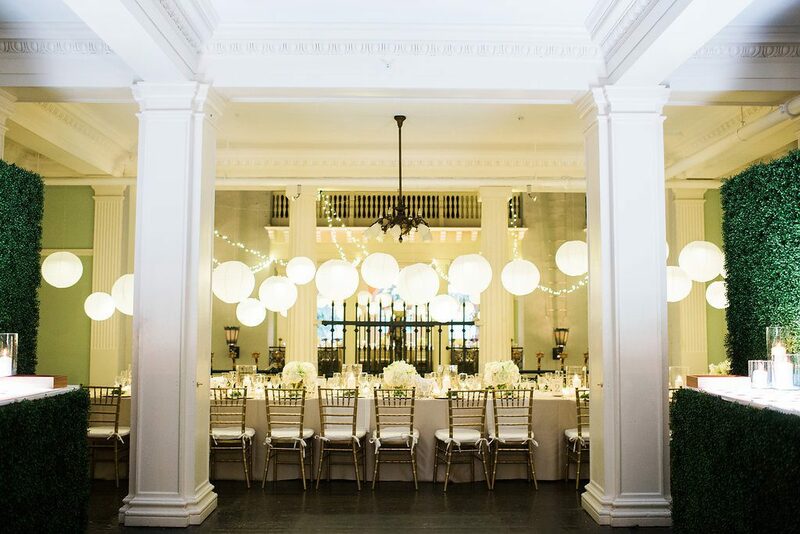 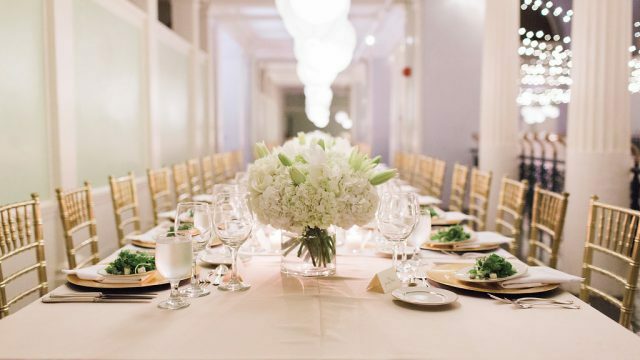 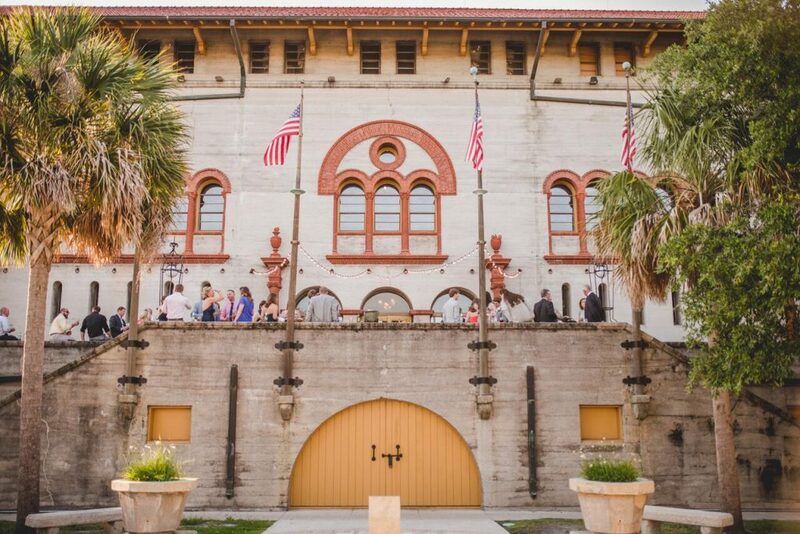 Click below to see the floorplan for the Historic Pool, Mezzanine, and Outdoor Terrace, or view our wedding package and pricing.